Fractured teeth are a common finding in veterinary medicine. Often fractured teeth go unnoticed unless the injury is directly observed. For that reason, veterinarians often identify the fractured teeth incidentally on general routine examination. In dogs, fractured teeth are most often caused by chewing on inappropriately hard objects, such as elk antlers or marrow bones. The 4th premolar and 1st molar are the carnassial, or chewing teeth, and these are the most likely to be fractured when chewing on hard bones. Canines are more likely to fracture as a result of trauma or destructive/cage chewing behaviors. In cats, teeth other than the canines rarely fracture. The canines are susceptible to fracture in outdoor cats that fend for their own food and/or fight with other outdoor cats. 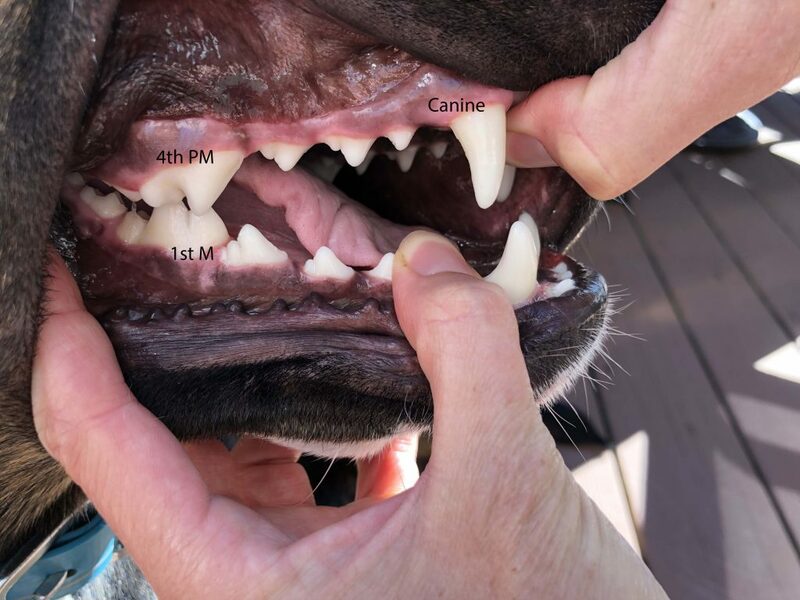 The most commonly fractured teeth in dogs are the chewing teeth (upper 4th premolar and lower 1st molar) and the canine teeth. Dogs and cats rarely show signs of pain, even when they have broken teeth. For that reason, broken teeth are most commonly diagnosed by a veterinarian on a routine physical examination. For those that brush their dog’s teeth regularly, a sensitive spot and/or bleeding might be noted while brushing. Rarely, one will be with their pet when it happens and notice bleeding from the tooth or mouth. As seen here, broken teeth are not always obvious on initial examination. The top picture shows a tooth covered in calculus, but once an examination was performed, the upper 4th premolar was found to be broken in half. 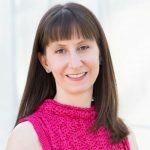 Understanding the treatment options for fractured teeth relies on a basic understanding of tooth anatomy. The outer surface of the tooth is covered by enamel, the hardest substance in the body. Enamel is only formed during the development of the tooth, so once lost, it cannot be regenerated. The bulk of the tooth substance under the enamel is dentin. Dentin is made of millions of tiny tubules that connect to the living part of the tooth, or the pulp. The dentinal tubules are responsible for tooth sensitivity when they are exposed as a result of fractures, gingival recession, or cavities. The pulp is the living part of the tooth and contains blood vessels and nerves that keep the tooth healthy. Once exposed or diseased, the pulp will quickly become inflamed and painful and will eventually undergo necrosis, or death. There are many different classifications for dental fractures, but for the purposes of this article, we are going to focus on uncomplicated (no pulp exposure) and complicated (pulp exposure) fractures. It is important to fully define the fracture in order to determine what treatments are necessary. 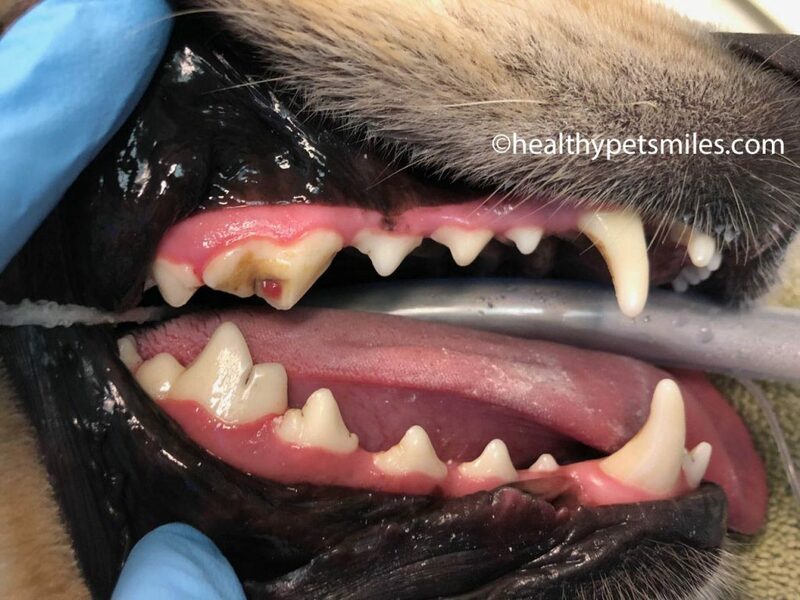 Sometimes it is easy to see if the pulp is exposed or not, but often times it is not, so a complete evaluation under anesthesia and dental radiographs are required to assess the severity of the fracture and to determine if there is advanced disease present or if there is root involvement. Uncomplicated crown fractures, or those that do not involve the pulp, require radiographs for full evaluation. If the roots are normal on radiographs and there are no signs of endodontic disease (disease of the pulp of the tooth), then treatment might not be required and monitoring with x-rays in the future will be recommended. However, if there is a large region of dentin exposure, then a bonded dental sealant and composite restoration can be applied to protect the underlying dentin and keep the patient from suffering any sensitivity. Even uncomplicated crown fractures can traumatize the pulp to the degree that it eventually becomes non-vital, so follow-up radiographs for these teeth are always indicated. Complicated crown fractures, or those with pulp exposure, require treatment of the inside of the tooth (root canal therapy) or extraction. We cannot expect a dog or cat to tell us what hurts or point to a bad tooth, so we shouldn’t rely on signs of pain to dictate treatment! If the pulp of a tooth is exposed, the tooth is already, or will soon be, infected and will require treatment. Treatment options can vary based on the age of the dog/cat and the tooth involved, so if your pet suffers from a fractured tooth, please seek out the opinion of a veterinary dentist in your region for options. In general, fractured teeth can be treated with either root canal therapy or extraction. Root canal therapy is generally reserved for the larger and more structurally important teeth in the mouth, namely the canine teeth and the carnassial (chewing) teeth. However, based on the circumstances, other teeth can be candidates for this treatment as well. This is a picture of obvious pulp exposure in a fractured upper right 4th premolar in a dog. Root canal therapy involves removal of the pulp of the tooth, disinfection of the pulp space, and filling with materials that will prevent the tooth from becoming diseased in the future. Root canal therapy prevents the need for surgical removal of a tooth and as such, the patient has a quicker recovery time. However, it is extremely important to understand that when root canal therapy is performed, rechecks are mandatory. Recheck examinations and X-rays involve anesthesia, and these are generally recommended once yearly (sooner if the tooth is already diseased when the root canal is performed). A crown can be placed over a tooth that has had a root canal for additional protection based on the circumstances and the use. Root canal therapy is not recommended if the fracture of the tooth involves the root (this is often the case for 4th premolars because of the way they tend to fracture) or if the tooth is severely diseased, i.e. 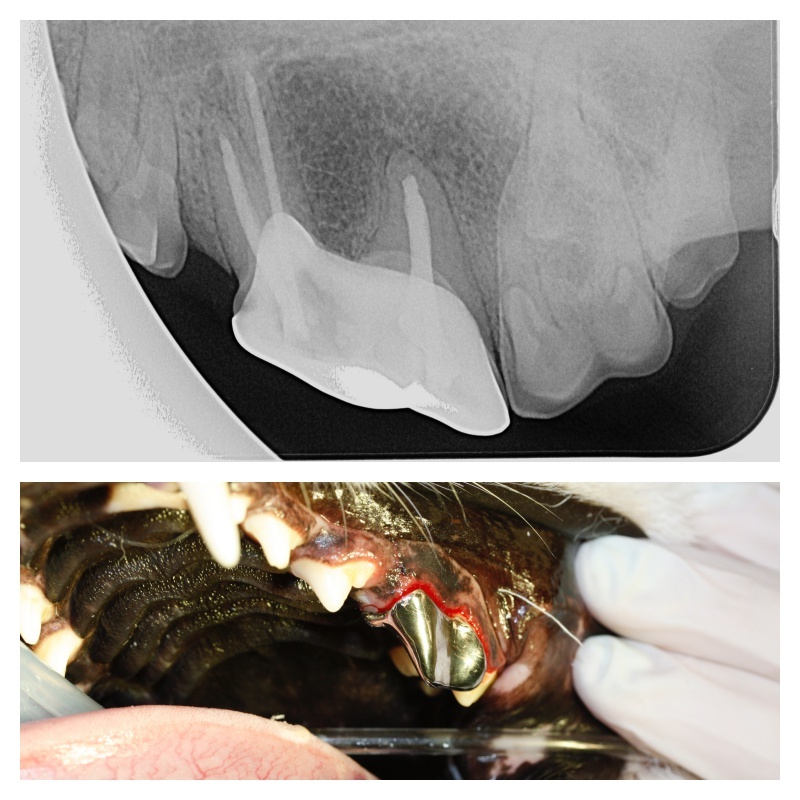 if there is localized swelling, draining tracts, or severe disease noted on radiographs. 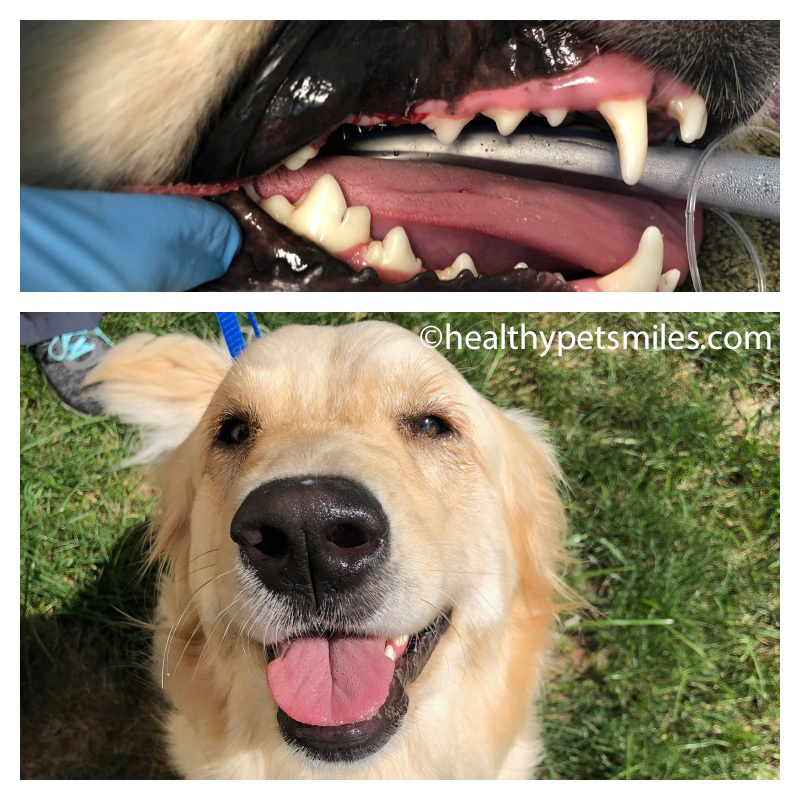 While we, as veterinary dentists, love saving teeth when it is an option, our primary goal is to make sure your dog or cat has a healthy mouth that is free of pain and infection. 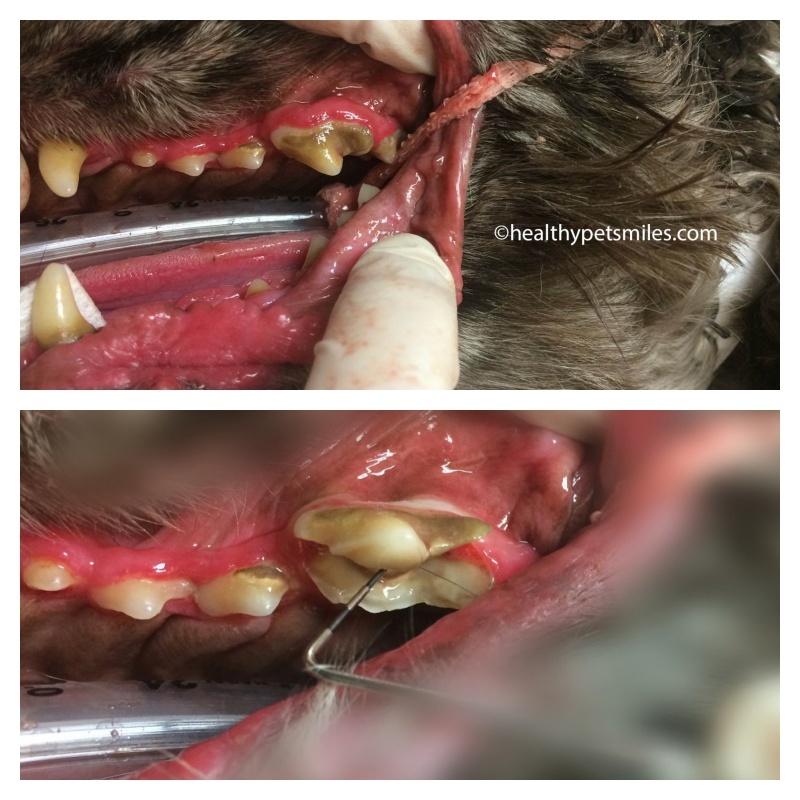 If we feel that a root canal procedure has a high chance of failure, extraction will be recommended and will be better for your dog/cat in the long run. Please remember that no matter what your dog’s purpose or lifestyle, they can survive and thrive without that broken tooth! Root canal therapy is performed in one or two stages depending on the state of disease of the tooth. Recently fractured teeth, very young teeth, and teeth that are severely diseased are those that are often performed in two stages to allow proper disinfection of the tooth and removal of all of the pulp. The top x-ray shows a 4th premolar after having a root canal procedure and a crown placed. The bottom picture shows the newly cemented crown in place over the tooth. This adds additional protection from future trauma. Extraction of teeth involves surgery to remove the entire crown and root of the tooth. Depending on the tooth, this can be a major surgery, especially for the canine and chewing teeth as noted above. However, this is a procedure that is performed often on dogs and cats. Animals tolerate tooth loss better than people do because their teeth don’t shift out of place when one is missing, nor do they have any changes to their occlusion. Additionally, loss of teeth doesn’t result in change in behavior, eating ability, or ability to play and chew on toys/bones. So, aside from the surgical recovery time of 7-10 days following a major extraction, this is a very acceptable option for broken teeth that are severely diseased. Generally speaking, extraction is a less expensive option as it involves a shorter time under anesthesia and less materials. Once the extraction has healed, no further rechecks are necessary. For those that are concerned about repeated anesthesia, cost, or other concerns about general health, extraction should be considered over root canal therapy. This sweet young golden broke her upper 4th premolar on a hard bone and her parents decided to have the tooth extracted. She did so well and is happy and cute as can be, even after losing a tooth! As stated above, dogs and cats are very good at hiding signs of oral pain. For that reason, visible signs or symptoms of dental problems are often hard to see. However, if broken teeth are left untreated, they will often cause swelling or draining wounds in the mouth or around the face. Although antibiotics might initially make the swelling and wound improve, they are a short-term band-aid, and treatment with extraction is always required. Using antibiotics on and off for dental disease is an inappropriate and is not recommended for the safety of your dog or cat or for the continued efficacy of antibiotics. Additionally, antibiotics will eventually become ineffective if used continuously for long periods of time. In short, don’t assume a broken tooth isn’t a problem just because your dog or cat is acting okay! 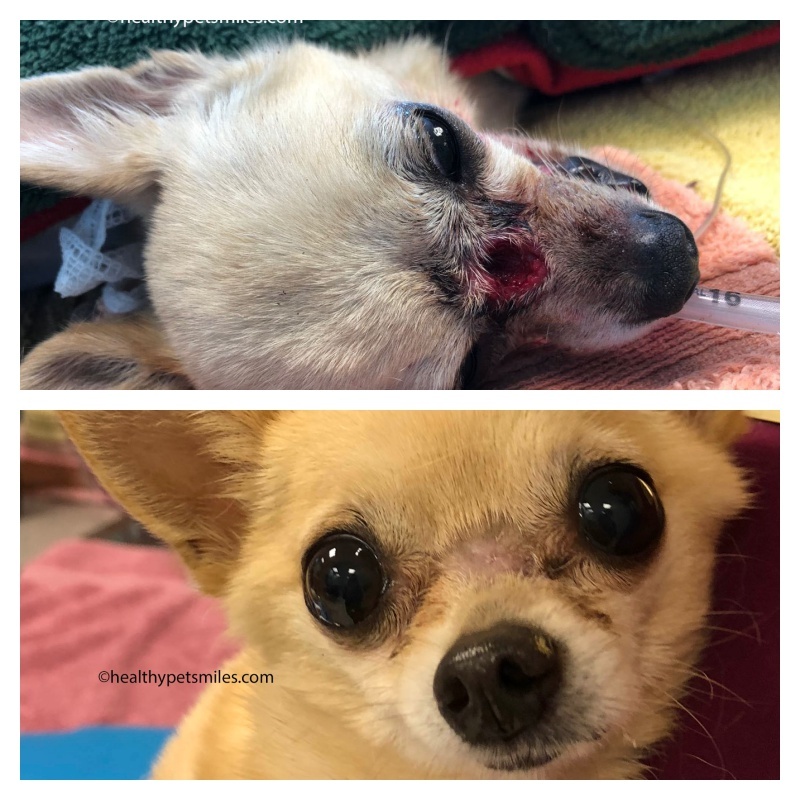 Here is a little Chihuahua with a large wound on his face between his eyes secondary to severe disease of his upper teeth. Once all of his teeth had been removed, the wound quickly healed. 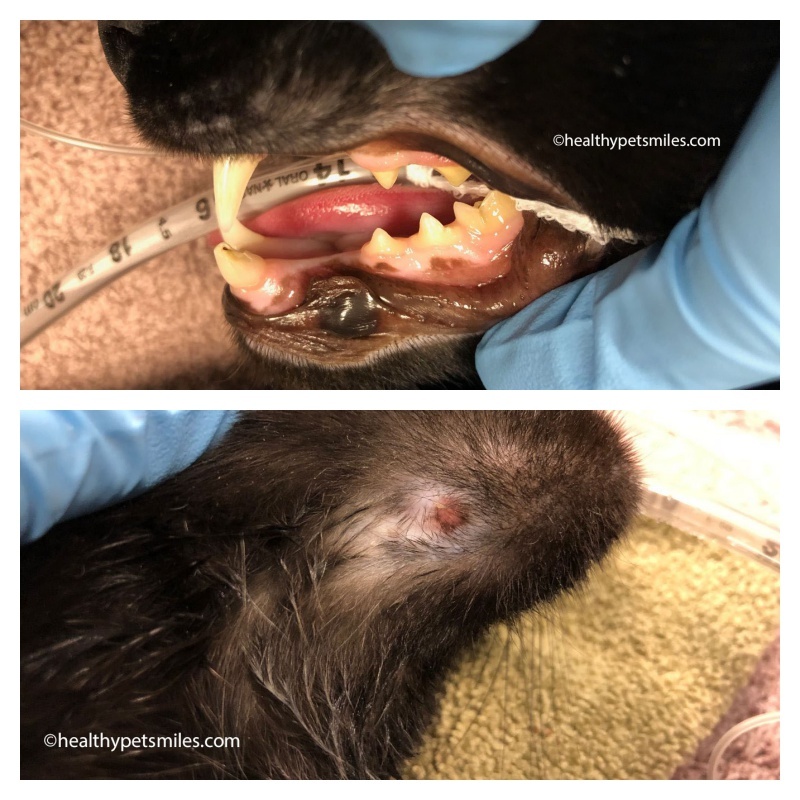 This cat had a broken lower canine tooth that caused a swelling and wound on his chin, both of which went away following extraction of the broken tooth.